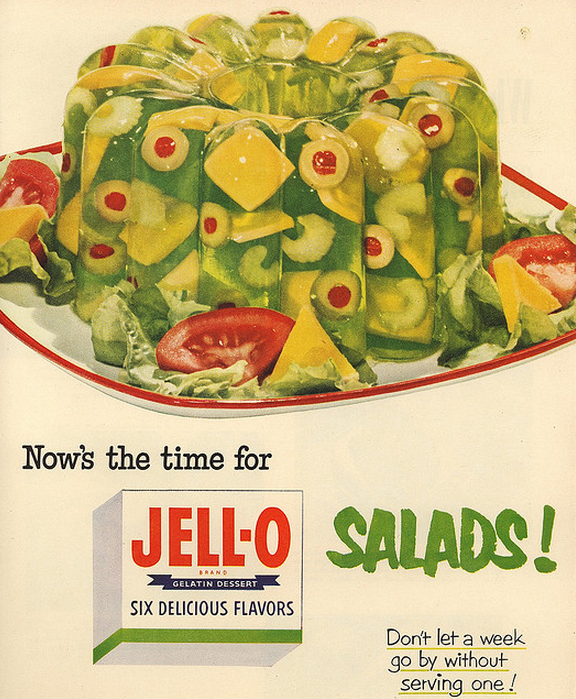 The end of World War II heralded a time of peace for much of the world… but it also heralded a time of gelatin. 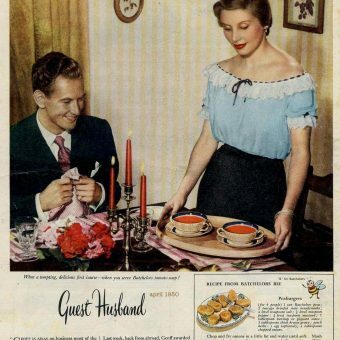 Devoted wives were now free to cook fancy-schmancy meals for their husbands after a hard day’s work. 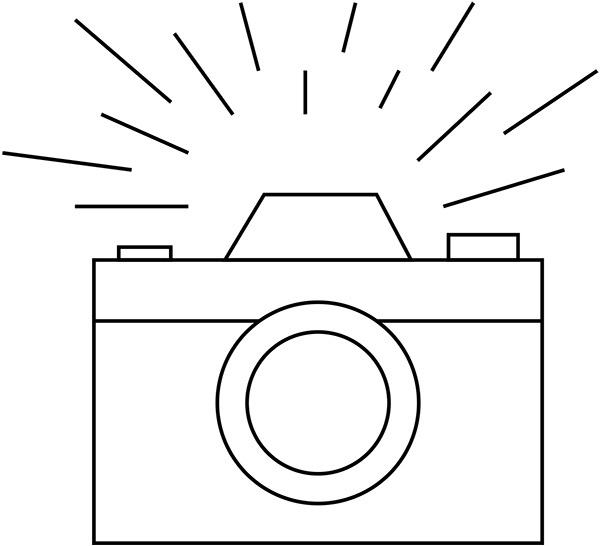 Sure, his breath smelled like scotch and his shirt smelled like his secretary’s perfume…. but won’t he be happily surprised by dinner tonight! 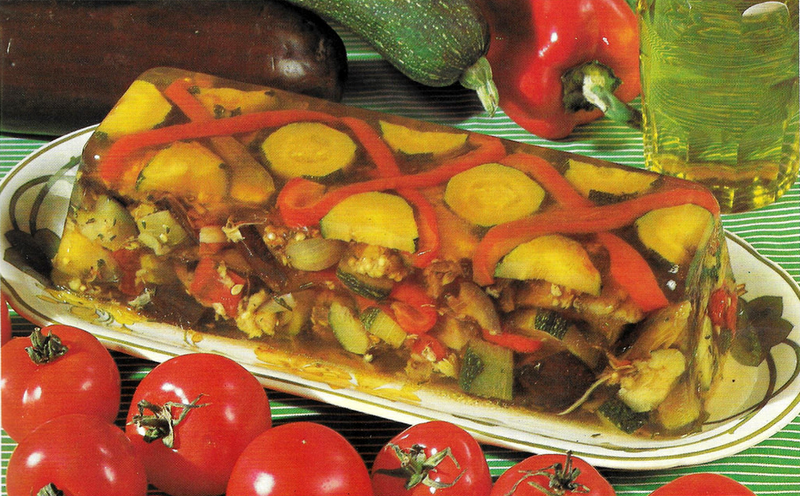 It’s his favorite stew… but suspended in a meat stock gelatin! 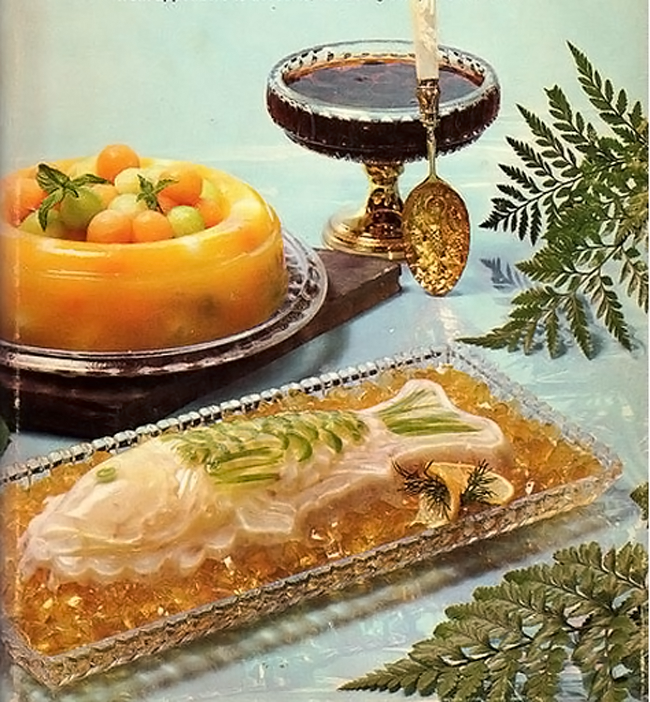 To look at recipe books and magazines, you’d think the whole world had gone gelatin-berserk. 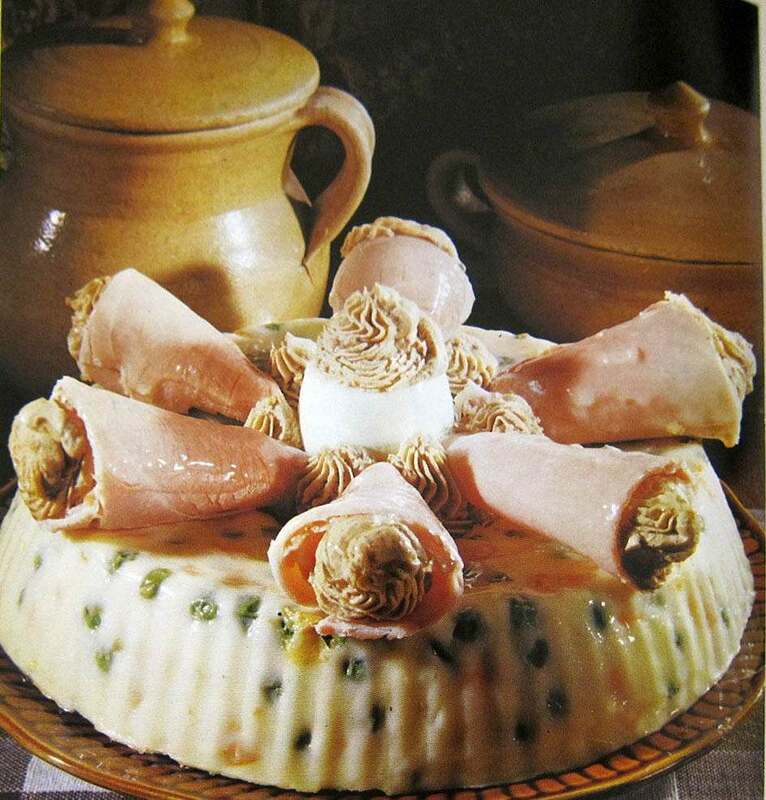 The compulsion for 1950s housewives to put everything and everything into a mold demands an explanation. If you were to visit a grocery store in, say 1954, you would be immediately stricken by how much smaller it was, and how incredibly limited you were in selection. 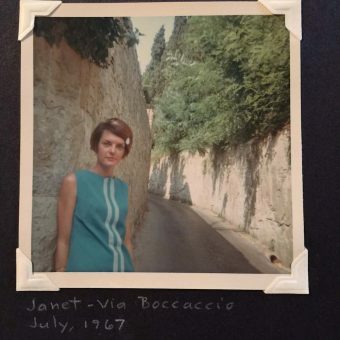 There was no Food Network style diversity to choose from – the few aisles were stocked with the bare-bones basics. So, if you want to add a little pizzazz to your humdrum dinner, the best route might be to mold it into the shape of a wreath. 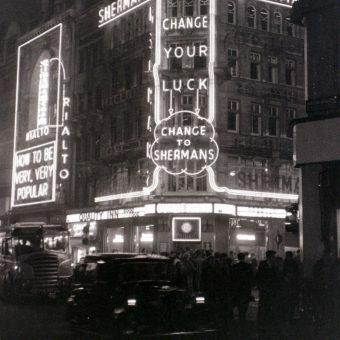 They wouldn’t have gone for this sort of “elegance” in the previous couple decades when money was tight and food was rationed. But it was the dawning of a new day, the American economy was exploding, rockets were being shot into space… and dinners were gelatinized! 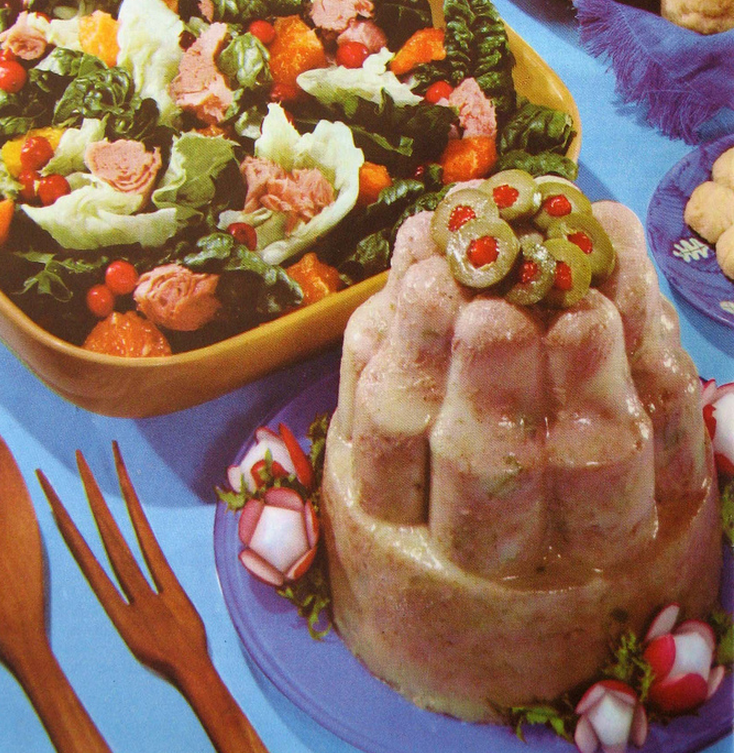 I don’t want to know what substance has been so lovingly piped into those glistening slices of ham. 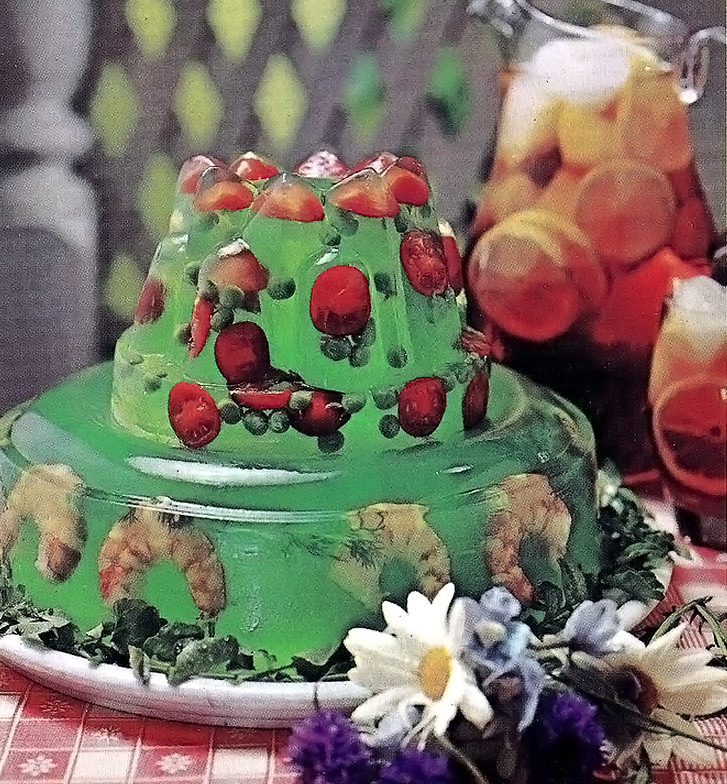 How about a cool refreshing fruit mold…. 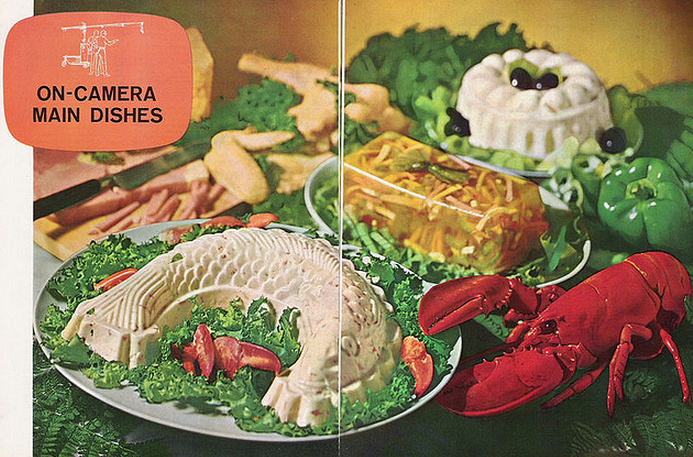 with shrimp suspended in a sea of lime Jell-O? 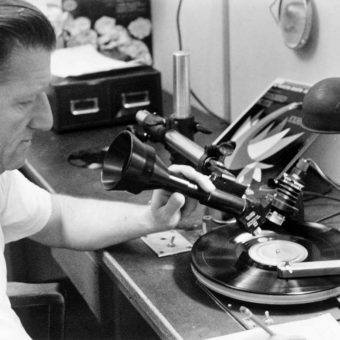 Take note: some of these pictures come to you from the 1960s and 70s. 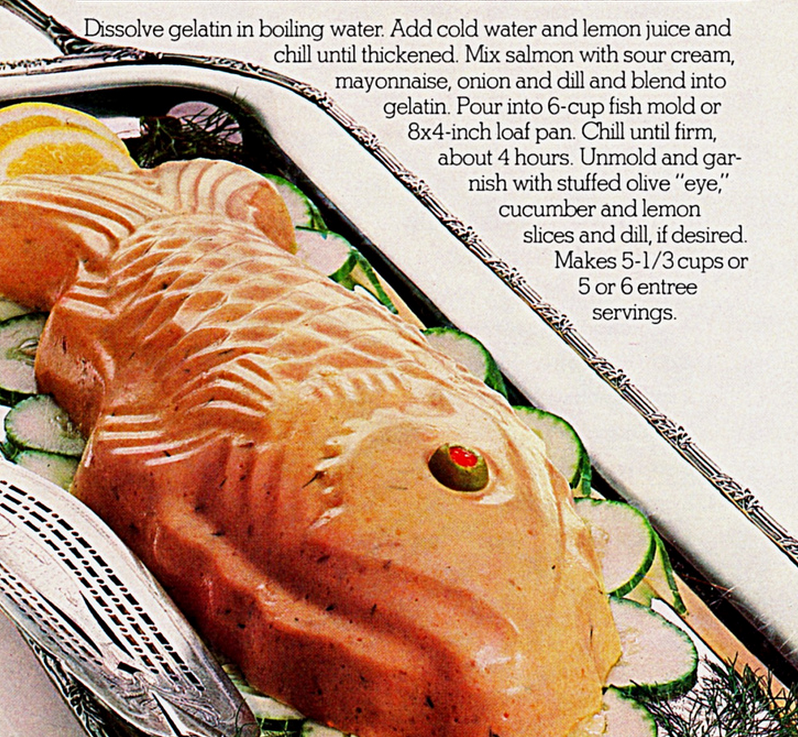 The Great Gelatinizing didn’t wrap up until the disco era. 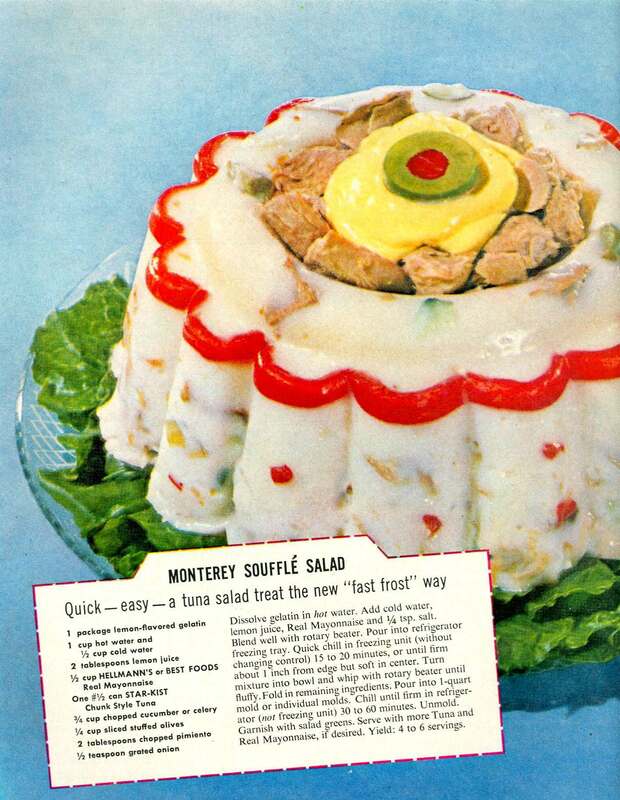 This “Monterey Soufflé Salad” has the unique ingredient of a benevolent eye of some alien race peeking out from within its gelatinous encasement. 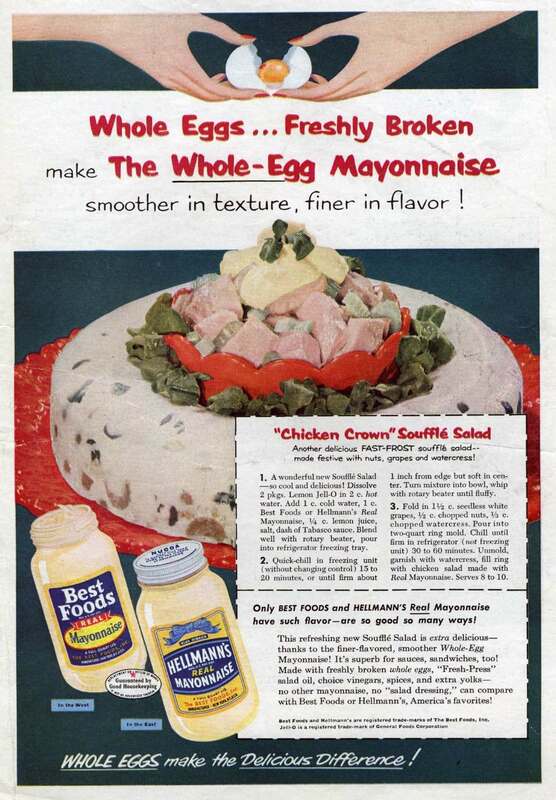 The four food groups of the 50s: Meat, Gelatin, Dairy, and Mayonnaise. 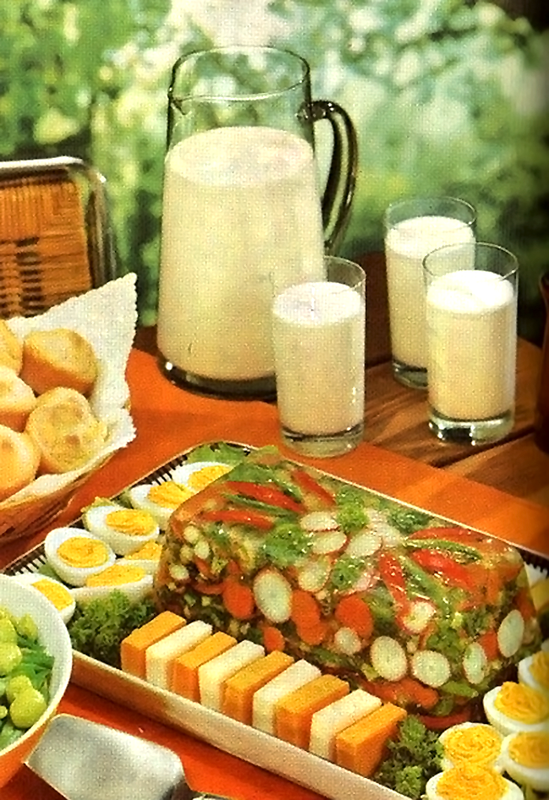 Just as midcentury dinner tables were overstocked with gelatin; they were pretty heavy-handed with the mayo as well. 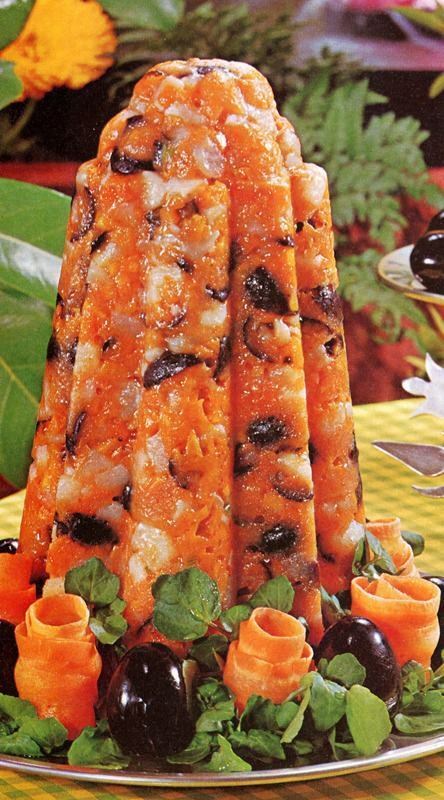 I’ve explained the gelatin. I just can’t explain the ferns. It almost like pats of butter floating amid the olives. 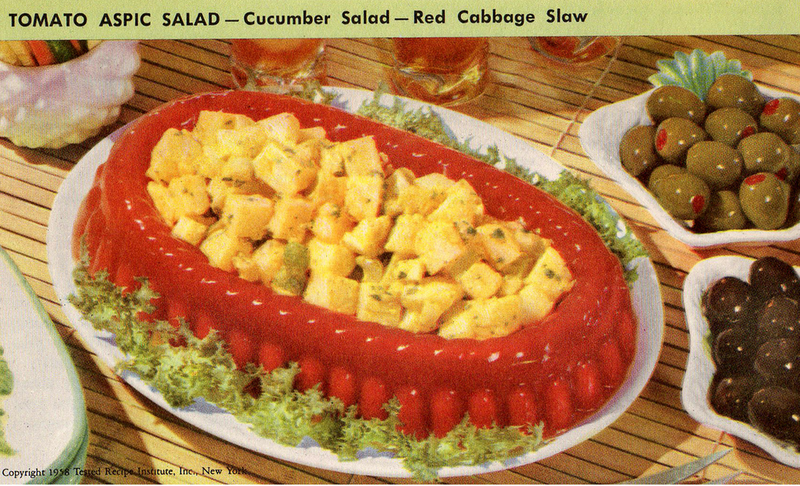 I wonder how long it took to get past the gag reflex before midcentury families could actually start eating this food. 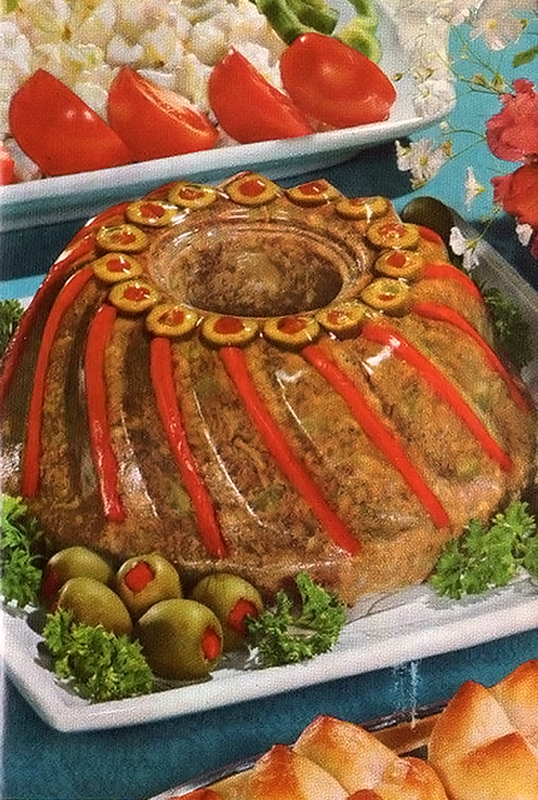 Looks like some sort of occult configuration atop the gelatinized meat dollops. 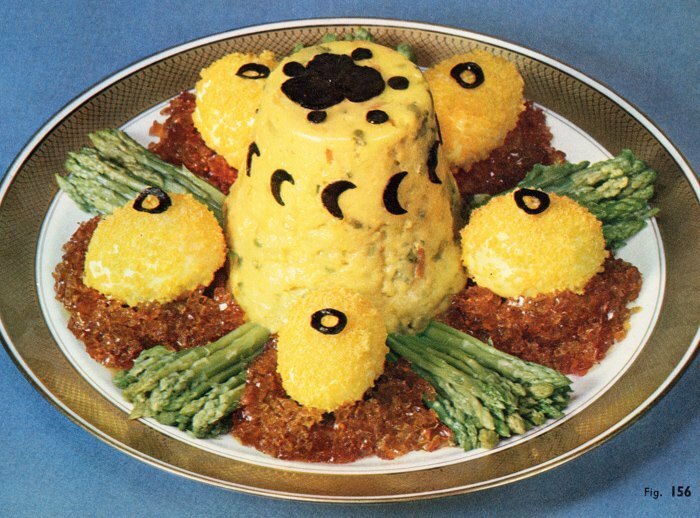 I think this satanic fez-shaped gelatin mold is as good a place as any to end our tour. Bon appetite!